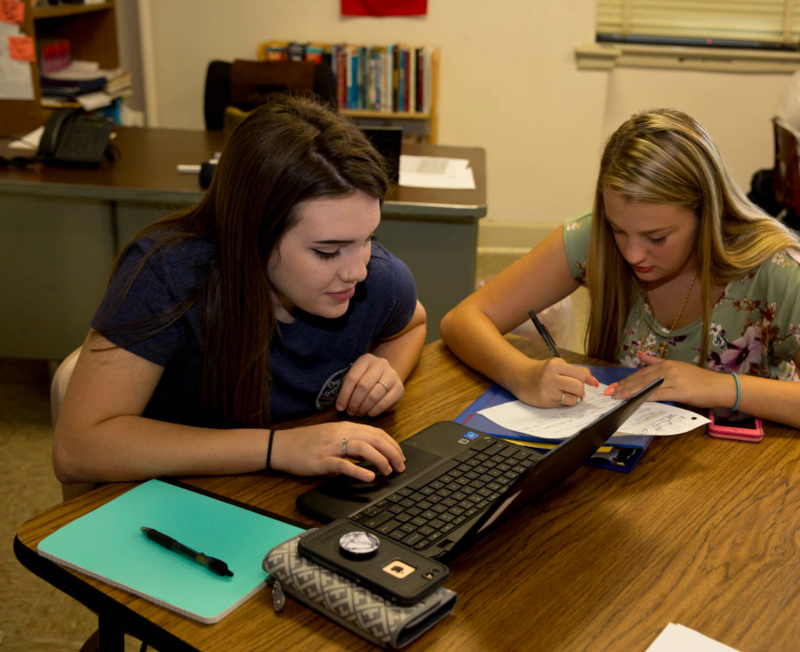 Roanoke Rapids High School has been selected by the 1Million Project Foundation to participate in a grant that will offer free internet service to high school students who don’t have access to the internet at home. The district implemented one-to-one technology several years ago supplying students with Chromebooks. High school students are allowed to take them home to work on assignments, but many of them don’t have internet access beyond the high school campus. “This program would provide students with hotspots and service at no charge for a four-year period,” said Maria Pitre-Martin, Deputy State Superintendent. The State Board of Education is partnering with the 1Million Project Foundation and other non-profit organizations to assist schools in eliminating what is known as the “homework gap” because of digital inequity. A national estimate indicates that 33% of households with less than $50,000 a year in income do not have internet access which presents challenges for students attempting to complete their school work at home. “No doubt this program will have a positive impact on our high school students and overall achievement. We anticipate a large number of them will benefit,” said Dain Butler, Superintendent. 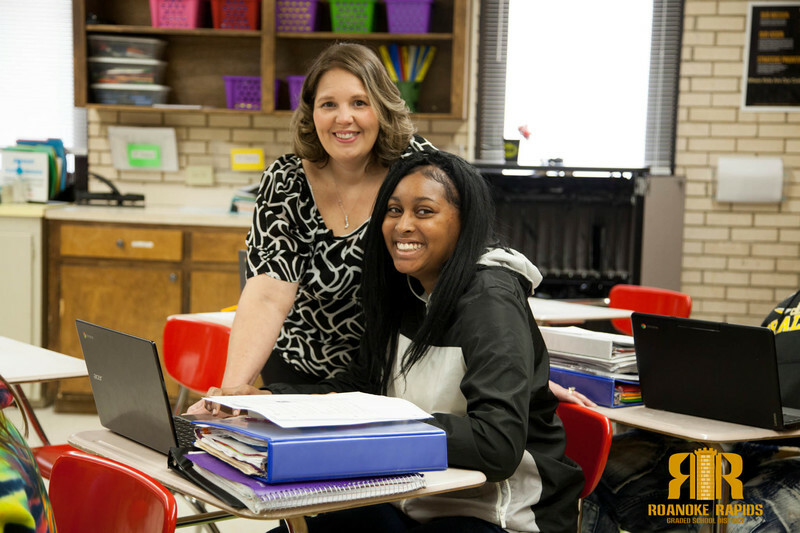 The hotspots will have the same content filters that students experience on the Roanoke Rapids High School campus. The filter blocks adult content and malware in compliance with the Free Children's Internet Protection Act (CIPA). Students in Guilford, Winston-Salem/Forsyth, Cumberland, Buncombe, Nash-Rocky Mount, Rockingham, and Pitt Schools are also implementing the grant program at their schools. RRGSD Trustees also approved several personnel changes at its Tuesday night meeting. Veteran Chaloner Middle School Science instructor and the district’s Teacher of the Year, Tina Hantz has been named the new Assistant Principal at Roanoke Rapids High School. Hantz is a Roanoke Rapids High School graduate. She holds a Masters in Educational Leadership and Administration from Capella University. Clara Hearne Pre-K Teacher of the Year Lindsey Goble who is also a RRHS graduate was promoted to Pre-K and Place to Play Coordinator. Goble has spent the past 10 years at Clara Hearne. She holds a Masters in Early Childhood Education from East Carolina. She is replacing Larry Catalano who was promoted to Assistant Superintendent last month. Stacy Johnson has been hired to serve as the new intervention specialist at Belmont Elementary. Susan Smith will be returning as a reading specialist at Manning Elementary. That position was eliminated earlier this year due to budget cuts from the 2017-18 shortfall of state and federal funds. “Although no employees lost their job, positions had to be reorganized and absorbed,” Butler added. Returning the reading specialists at both elementary schools was a priority for both the superintendent and trustees. “The reading specialist position plays a crucial role in reaching our struggling students through targeted interventions, and with her literacy expertise, we are very happy to have Mrs. Smith continue in this capacity at Manning. Credit is due to the board and Central Services staff for working through the budget to restore this position,” Lauren Hinnant, Manning Principal.